Two years ago, many of us came together with an idea – to save the local lake that we lived near. The situation was dire. 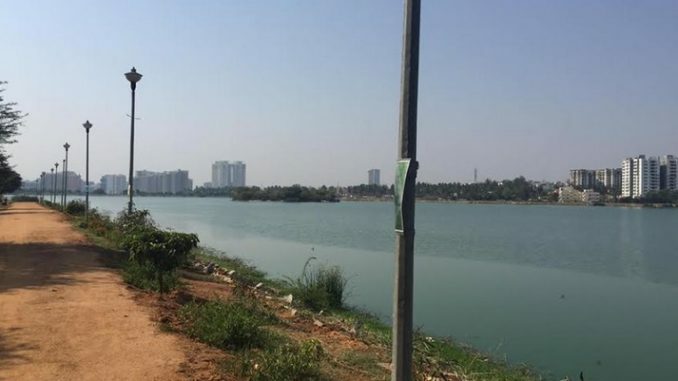 Rachenahalli Lake located near Srirampura Cross, Jakkur, Bengaluru, like many other water bodies in the city, is part of an interconnected system both upstream and down. Though the Bengaluru Development Authority (BDA) had spent a substantial sum of public money to rejuvenate it about eight years ago, it had turned into a drain for the sewage water being released by the upscale apartments that surrounded it. The situation had taken a turn for worse because a lack of watch and ward saw the lake being fenced off at critical points which had turned it into a den of antisocial activities. Clearly there was a need to take ownership of the water body and it seemed futile to leave the job only to government agencies. Jalamitra was born in August of 2015 with only eight people. Today we have more than 150 active members. Group has consistently engaged in small interventions such as cleaning the lake bund regularly, improving the bund area, monitoring the removal of water hyacinth by fishermen, involvement of School and college children in planting activities and clean up drives. The group has achieved good progress. Bruhat Bengaluru Mahanaagara Palike Joint (BBMP) Commissioner of Yelahanka Zone initially provided support of labourers for clean-up works thereafter the volunteers have engaged themselves. 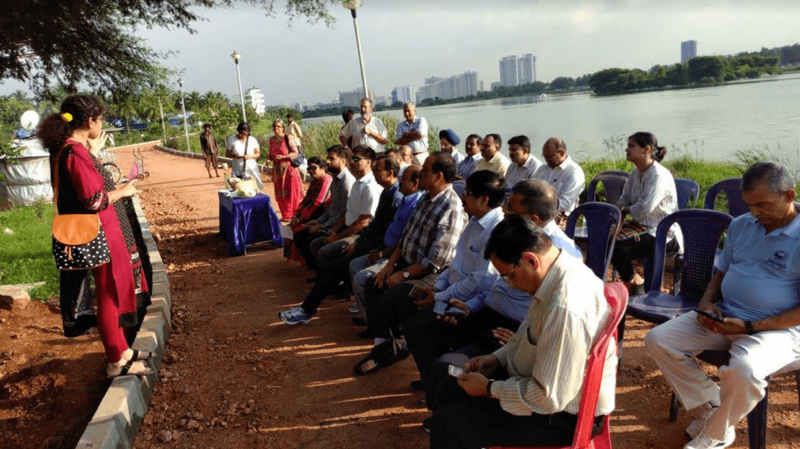 The group coordinates with BDA, BBMP, Karnataka Lake Catchment Development Authority (KLCDA), BWSSB (Bengaluru Water Supply and Sewerage Company (BWSSB). We also had our local Member of Legislative Assembly (MLA) Krishna Byregowda intervene to help get footbridge at the outlets of the lake from the BDA to make a complete walkway around the lake for people. Now the BBMP has taken over the lake and is working towards the improvement of lake environment. Varshikostava 2017 was a platform for citizens and visitors to learn and understand various issues around Urban Lakes such as ecological services of lakes, role of lakes in making urban water cycle sustainable, importance of protecting lakes, biodiversity of urban lakes; other critical urban issues like solid waste management, composting for wet waste, importance of water quality, etc. Our experience has led us to believe that protection of lakes which are ecological commons requires all stakeholders to work together especially the citizens. For Jalamitra, we had the advantage of being led from the front by an experienced person who was also part of the bureaucracy as an officer of the Indian Forest Service. Punati Sridhar, former Executive Director of Mahatma Gandhi Institute of Rural Energy & Development (MGIRED) and Vishwanath S, Biome Trust initiated efforts for reclamation of Rachenahalli lake which was in a very bad state as it was abandoned after its development about seven-eight years ago by BDA which had spent about Rs 19 crores by then. Their combined experience helped Jalamitra navigate the labyrinth of this complex issue. Here is the road map we used to get Jalamitra going which can act as a blueprint for anybody who wishes to to work on saving their local lakes. 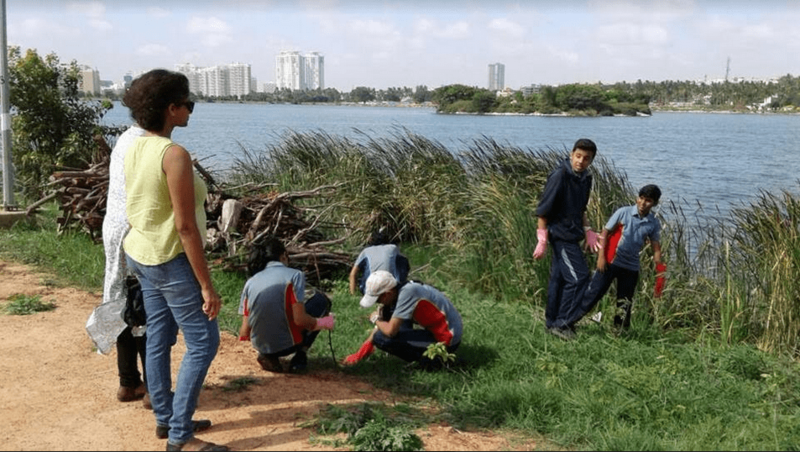 How to initiate the effort for rejuvenation of a lake? The citizen group should be a formally registered organisation which can approach BBMP-Lakes for maintenance of lake. This makes it easy to work with government agencies. BBMP-Lakes has formalised citizen engagement for lake maintenance. If an active citizen group is willing to maintain the lake. BBMP will develop the lake by improving infrastructure, deploying home guards etc. Due to lack of funds BBMP Lakes division has been working with United Way Bengaluru, an NGO which raises funds for lakes maintenance and works with both BBMP and Citizen group. Groups such as Friends of Lakes, PNLIT, Jalaposhan, Jalamitra can help and mentor individuals in formation of citizen groups for other lakes. 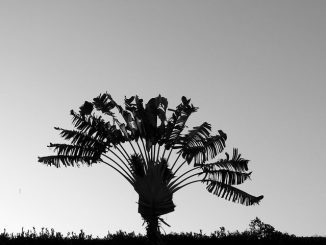 A nature walk explored everything from travellers’ palm to passion flowers to lipstick plant, while the talk provided the background required to internalise the sightings. Koramangala elevated road project is likely to be funded under Smart City project. 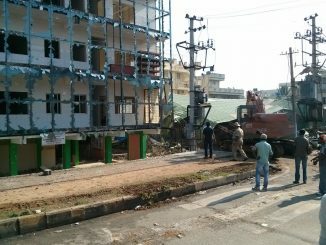 To the dismay of Koramangala residents, it looks like it will be delayed.